LONDON (Reuters) - Royal Dutch Shell agreed to buy smaller rival BG Group for 47 billion pounds ($70 billion) in the first major energy industry merger in more than a decade, closing the gap on market leader U.S. Exxon Mobil after a plunge in prices. The third-biggest oil and gas deal ever by enterprise value will bring Shell assets in Brazil, East Africa, Australia, Kazakhstan and Egypt. BG has some of the world's most ambitious projects in liquefied natural gas (LNG), where demand is growing as consumers turn away from more polluting fuels such as coal. Shell is already the world's leading LNG company and it would get BG's capacity in LNG logistics - complex infrastructure that includes terminals, pipelines, specialised tankers, rigs, super coolers, regasification facilities and storage points. "We are seeing a gasification of energy demand. Shell clearly recognise this," said Richard Gorry, director at JBC Energy Asia. "That said, Shell is still taking a big gamble because if the price of oil and gas doesn't go back up (in the next 24 months), I would imagine this might put them in a difficult position in terms of cash flow." "We have been scanning quite a few opportunities, with BG always being at the top of the list of the prospects to combine with," Van Beurden told a conference call. "We have two very strong portfolios combining globally in deep water and integrated gas". Britain's BG had a market capitalisation of $46 billion at Tuesday's close, Shell was worth $202 billion and Exxon, the world's largest energy company by market value, was worth $360 billion. BG's bonds traded up strongly on the deal and its shares closed up 27 percent at 1206 pence. Shell shares fell 5 percent to 1982.5 pence. They were the most traded stocks across Europe on Wednesday, with $1.6 billion of BG shares changing hands and $3 billion of Royal Dutch Shell shares. BG stock has tumbled nearly 28 percent since mid-June, when the slump in global oil prices began. The agreed price is around 20 percent above BG's share price of a year ago. "In buying BG, Shell is making a bold strategic bet that oil prices will recover towards the $70-90 level in the medium term," said Henderson Global Investors. Brent crude was trading below $57 a barrel on Wednesday. Barclays bank said Shell would have to persuade its shareholders that it can control capital spending at the new company and show BG's portfolio can deliver the promised growth options beyond Brazil, "something that, in our view, has been far from evident of late". One source close to the deal said a counterbid was unlikely. The source said a U.S. company such as Exxon may be doubly wary of getting into a takeover battle after the failure of drugmaker Pfizer's attempted takeover of AstraZeneca last year. 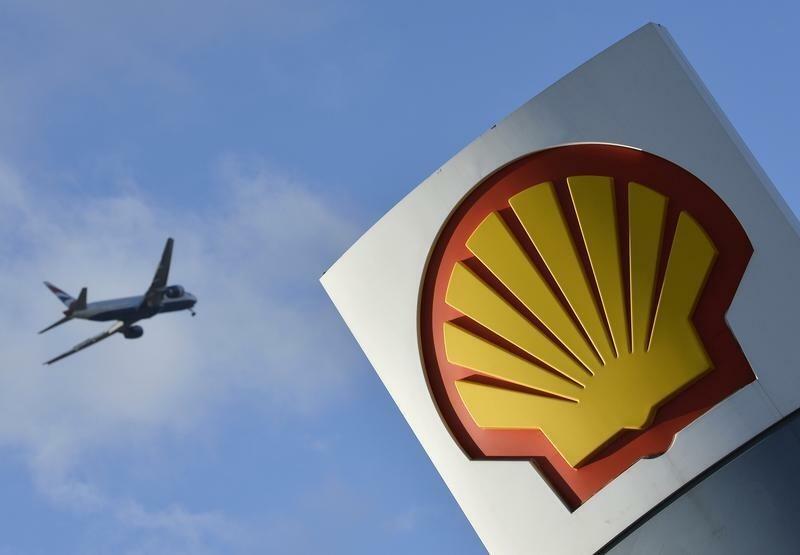 The deal represents a windfall for Shell's adviser Bank of America Merrill Lynch. BG's advisers are Goldman Sachs and the smaller Robey Warshaw. With BG, Shell would be the leading foreign oil company in Brazil. Analysts at investment bank Jefferies said they now expected Shell to surpass Exxon as the world's largest publicly traded oil and gas producer by 2018, with output of 4.2 million barrels of oil equivalent per day. The halving in crude prices has created an environment similar to the turn of the millennium, when large mergers reshaped the industry. Back then, BP acquired rivals Amoco and Arco, Exxon bought Mobil and Chevron merged with Texaco. "A deal of this size would certainly be getting everyone interested in running the ruler over potential combinations in the natural resources sector," said Paul Gait, an analyst at Bernstein Research. "If you're looking to the next big deal, Exxon Mobil stands out as most likely to pull the trigger," said Wood Mackenzie. "But don't expect a wave of late '90s-style consolidation." Last year, BG Chairman Gould hired CEO Helge Lund from Norway's Statoil to turn around the company. Gould said on Wednesday Lund would remain the CEO through the transition. However, it was evident the deal was driven by Van Beurden, who took over as the CEO last year, and Gould, a veteran executive who previously ran oil services giant Schlumberger. "I called Andrew up and we had a very good and constructive discussion about the idea and it very quickly seemed to make sense to both of us," Van Beurden told a conference call. "What has happened in the last month, apart from it being a logical deal, it has also become a very compelling deal from a value perspective,"